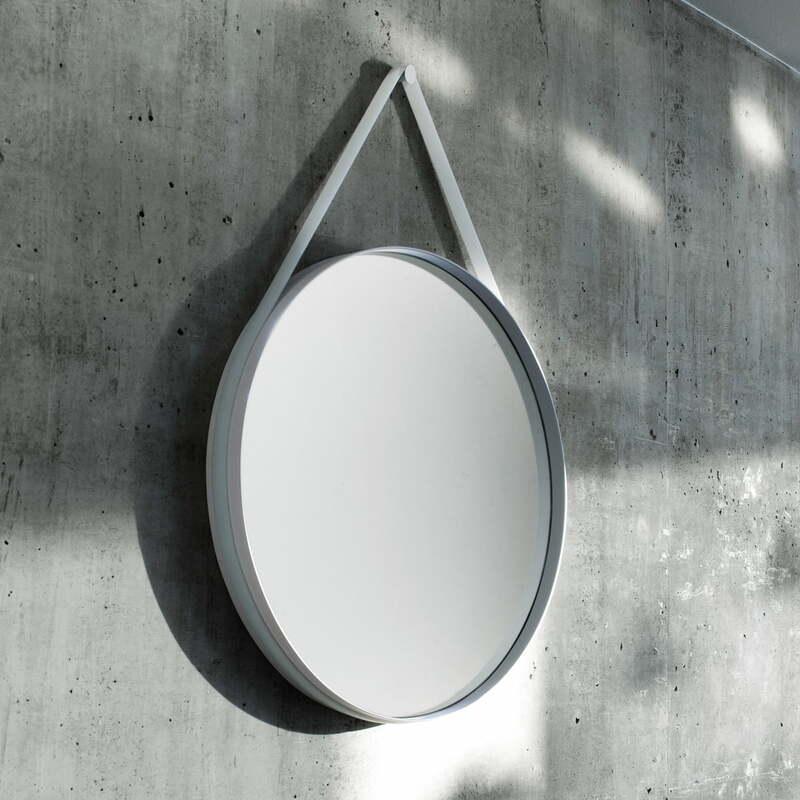 The Strap mirror by Hay features a minimalist and functional design. The wall mirror, with its powder-coated steel frame, is held up firmly with a single semi-transparent silicone band. Due to its modest and purist appearance, the Strap Mirror is highly versatile, fitting in with almost every interior style and in every room: bathroom, entrance hall, bedroom or living room. 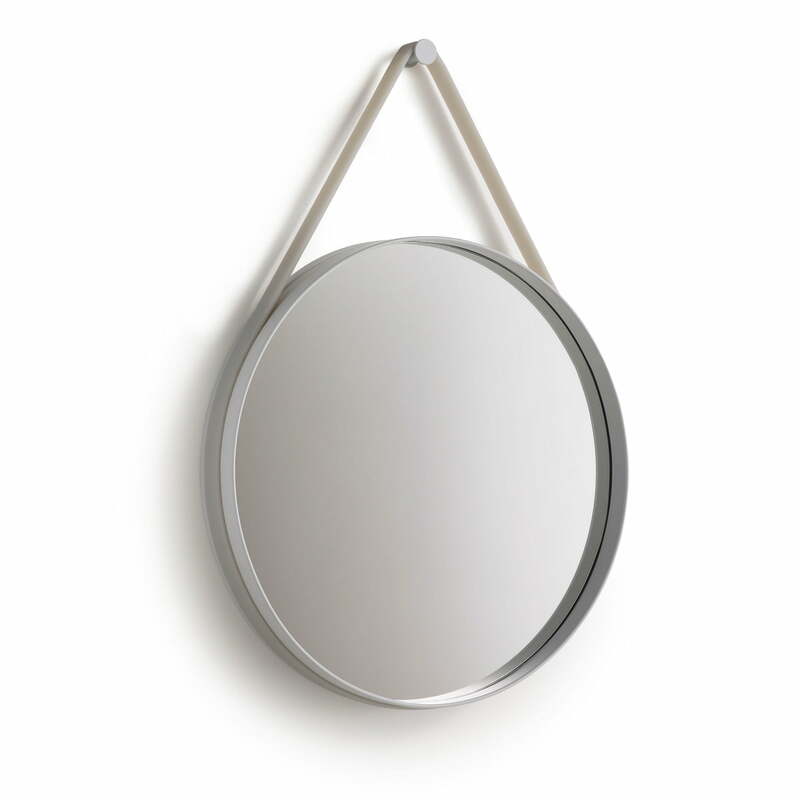 The Strap Mirror's functional yet simple design was developed by the Hay design team. Love this mirror - a nod to the much more expensive Adnet, but a fresh young spin on it.